Wait. Was Kamala Harris smoking pot while prosecuting people for smoking pot? Sen. Kamala Harris (D-Calif.) said that she listened to the music of rap artists Tupac and Snoop Dogg while smoking marijuana. Harris, who announced her candidacy for the 2020 presidential race earlier in February, recently became a proponent of legalizing the recreational use of the drug, saying that it is something that gives people "joy." Her admission brings up a big question about the timing of her admitted drug use and her time as a prosecutor. What did she say, anyway? "I have [smoked pot] and I inhaled, I did inhale," she admitted. "It was a long time ago, but yes. I just broke news." She later added that she thinks there's joy to be found in smoking pot. "Listen, I think that it gives more people joy," Harris said. "We need more joy." 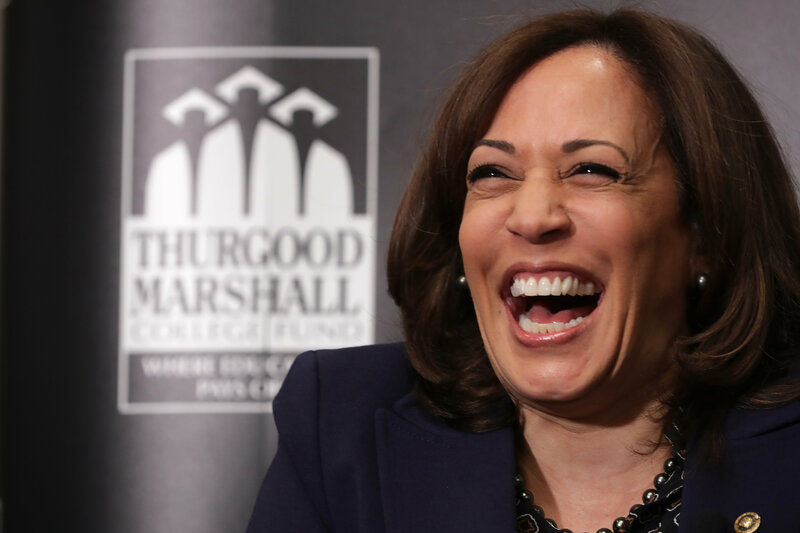 So Harris, by her own admission, was smoking pot and listening to Tupac and Snoop Dogg — while she was in college. Here's the thing: Harris finished her schooling in 1989. Tupac didn't release an album until 1991. As for Snoop Dogg, well, he didn't release his first album until 1993. Harris did, however, start working as a deputy district attorney in Alameda County, California, in 1990, where part of her job would have been to enforce existing drug laws. During her time as a prosecutor, Harris was as hard-nosed on drug laws as you could get. And when Harris was California Attorney General, she opposed the legalization of marijuana "as late as 2014," according to Reason. Harris is a former drug warrior who is now refashioning herself as pro-legalization. That's a positive shift — but not a reason to rewrite the past or ignore the patterns it reveals in her judgment. For years after the cultural tide had turned in support of criminal justice reforms, Harris continued to support lock-'em-up policies that disproportionately hurt minorities. Reason's Scott Shackford also wrote that Harris isn't being forthright when it comes to not previously being opposed to marijuana legalization. "Harris has a lengthy history as a prosecutor in California of opposing marijuana legalization," Shackford explains. "She opposed Proposition 19, the first failed attempt in California to legalize recreational use of marijuana." When Harris was running for attorney general in 2010, her campaign said, "Spending two decades in courtrooms, Harris believes that drug selling harms communities. Harris supports the legal use of medicinal marijuana but does not support anything beyond that."